Summary: Our Lord Jesus shepherds — pastors — us throughout this life and into life eternal. His is the only voice that never speaks falsehood; His are the only directions that never mislead us. Should faith waver and we in any way doubt His love or His sincerity, we turn to His words, that He would lay down His life for His sheep. Not only did He lay it down but He took it up again. In Jesus’ death and resurrection, we have proof of God’s forgiveness and the certainty of life everlasting. Sermon Text: “I am the good shepherd. The good shepherd lays down his life for the sheep. He who is a hired hand and not a shepherd, who does not own the sheep, sees the wolf coming and leaves the sheep and flees, and the wolf snatches them and scatters them. He flees because he is a hired hand and cares nothing for the sheep. “I am the good shepherd. I know my own and my own know me, just as the Father knows me and I know the Father; and I lay down my life for the sheep. And I have other sheep that are not of this fold. I must bring them also, and they will listen to my voice. So there will be one flock, one shepherd. For this reason the Father loves me, because I lay down my life that I may take it up again. No one takes it from me, but I lay it down of my own accord. I have authority to lay it down, and I have authority to take it up again. 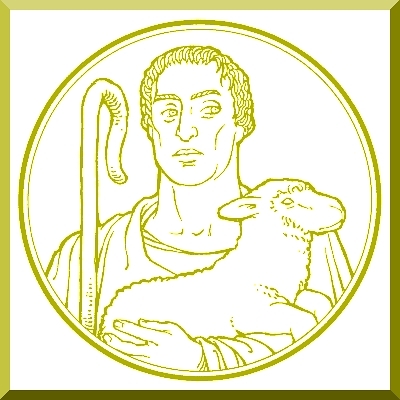 Audio: Click to hear the MP3 of The Good Shepherd, preached to the saints of God at Our Redeemer Lutheran Church, Marshall, Missouri.